One major problem people have with the virtual assistant is the lack of privacy the user gets when using it. If you are going to bring your virtual assistant to the office you’ll have to be cognizant that the more your VA knows about you, the more it’s liable to tell other people. If you aren’t careful, you are opening up a can of worms that could have the opposite effect than the one you intend. You’ll want to make sure that you are taking the proper steps to protect yourself. You’ll want to disable voice shopping or enable a PIN for security. Additionally, if you haven’t done it already, you’ll want to configure your Alexa with your specific voice profile to avoid other people speaking to it as you. Once your privacy is squared away (or as squared away as it’s going to be), the first thing you’ll want to do is add your calendar to your Alexa so that it can help manage your appointments. To do this, go to alexa.amazon.com, or open the Alexa app and go to Settings > Calendar. Alexa supports G Suite, Google Calendar, Outlook, Office 365, and iCloud, so no matter what device you use regularly, Alexa can integrate with your calendar. Once it’s added, you can prompt it to add an event by simply stating, “Alexa, add an event to my calendar.” Like a human assistant, Alexa can read back your events for the day and be able to answer calendar related questions. Amazon has made it clear that just bringing your Echo into work and starting to use it isn’t going to work for them. They have developed an enterprise-level security and manageability model that has integrated enrollment tools that manage access to the system. As a part of its Amazon Web services division, it works a lot like their software as a service offerings do. 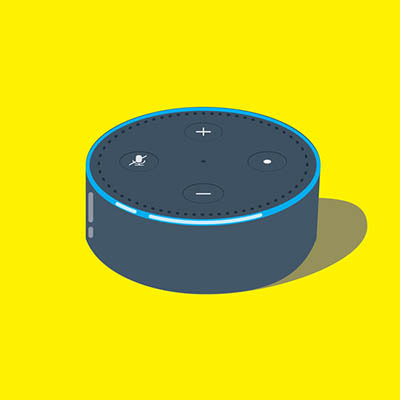 While businesses need to pay for devices separately, the cost of management will remain with the Alexa for Business model. The smart office, where calls and meetings are completely managed by the virtual assistant isn’t that far off. Alexa for Business has been rolled out in several large enterprises who have found varying degrees of success with the platform. One thing is for certain: Amazon is making a play to build the first virtual assistant that is uniformly utilized throughout a person’s life, and it’s got help. Conference Manager: Built by VoIP provider Vonage, the Conference Manager syncs with Google Calendar to see a person’s next conference call. It automates the process of connecting to the call, and simply calls you on an Alexa-enabled device (Internet phone or smartphone). It currently supports many of the top conferencing options such as Cisco WebEx Meeting Center, Citrix GoToMeeting, and Vonage Business. Scheduling Assistant: As was stated above, Alexa can be of use scheduling meetings. With an integration from developer FreeBusy, the FreeBusy Scheduling Assistant can automate the process of checking to see if a person is available and scheduling a conference call when all parties can meet. With integrations with Google Calendar, Exchange, Outlook, and Office 365, FreeBusy Scheduling Assistant is a must have app for your Alexa-fueled business. Email Assistant: Built by productivity software developer EasilyDo, the Email Assistant for Alexa is best used by traveling parties to confirm their reserved times for travel. By crawling the person’s email, it can gain all the relevant information quickly and accurately. Chat Bot for Slack: Developers say that integration with Slack is coming, but for now the best they can do is, through a third-party software integration, update the communications and collaboration platform with up to date information. Edit Docs: A useful app that lets you create docs, sheets, and slides, edit them, and lists your most-utilized files on command. Mastermind: Still in beta because of high demand, the Mastermind skill is a communications application that allows Alexa access to a users personal smartphone communications, giving them the ability to send and receive text messages, make calls, and see who is calling them. That’s just a taste of what Alexa is capable of, so even if your organization doesn’t utilize Alexa for Business, you can make the virtual assistant work for you. Do you use Alexa at home and wish you could use it at work? Leave your experiences in the comments section below.